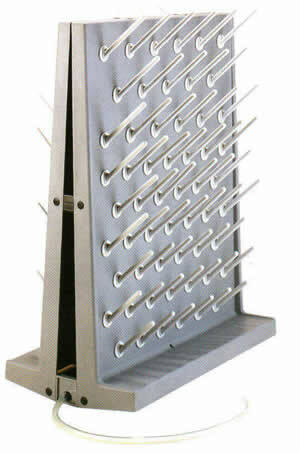 Peg Boards are supplied for on-site installation. Pegs fit snugly into molded insert holes that are specially designed to keep pegs in a uniform, upright 40° angle for stable glassware storage. Installation and removal of pegs can easily be made by hand. 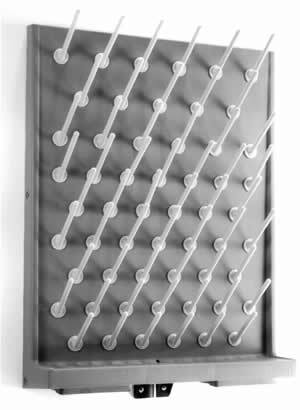 Based upon the layout of the pegs, the empty spaces on the board can be covered to prevent liquid penetration and to enhance the aesthetic nature of the unit. Contact Insul-Serv, Inc. for pricing and delivery quotation.